What Is In An Energy Drink That Gives It Anti-Aging Powers And What Doesn’t? What Is In An Energy Drink That Gives You Energy And Why Do Some Make You Crash After The Energy Is Gone? By now we’ve all heard the hype about energy drinks; it seems like every other television commercial or online ad sings their praises, often touting energy boosts that can last up to 12 hours. Sadly, most of these so called “energy” concoctions are loaded with dangerous chemicals, sugar and free form caffeine, meaning they give you the typical crash and burn most people experience after the initial sugar or caffeine high, not to mention the negative side effects of excess use of these ingredients. Once You Know What Is In An Energy Drink You’ll Find The Predominant Ingredients Are Likely The Negative Ones Listed Above. You’d be better off enjoying your favorite coffee drink with a shot of organic skim milk; at least then you wouldn’t be filling your system with carbonic acid, sapping your calcium levels and more. 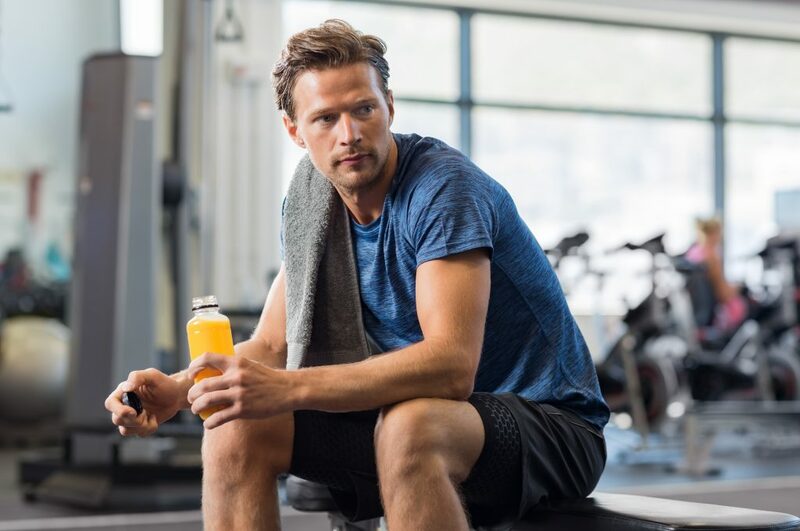 Most energy drinks promise revitalizing benefits but most are a weak substitution for smart healthy choices including energy drinks that claim they are packed with anti-aging nutrients. When it comes to what is in an energy drink that delivers energy including anti-aging benefits, you’ll want to start with energy drinks (or make your own) loaded with metabolism promoting ingredients and antioxidants like green tea (a powerful antioxidant and fat burner) and L-Carnitine which has amazing health benefits including helping you lose weight. Ginkgo Biloba and Ginseng also pair together well in an energy drink or smoothie, and can help keep you stay focused and improve your mood. Healthy Anti-aging Type Energy Drinks Will Include The 5 Primary Anti-aging Nutrients; Vitamin A, C, Niacin, B12 and E.
Vitamin A helps keep your skin stay to young and healthy looking; A multi-purpose antioxidant, vitamin C is considered an essential nutrient with anti-aging benefits that include bio-flavonoids to boost the cardiovascular system; Niacin encourages a strong heart; and one of the benefits of B12 is that it helps reduce fatigue and may possibly slow down brain aging; Vitamin E is a powerful antioxidant that protects you from the damaging consequences of free radicals. If you want to be sure of what is in an energy drink that you’re consuming, consider whipping up your own healthy energy drink in a blender using naturally sweet mixed berries, a pinch of cinnamon, organic skim milk and even a dash of healthy juice like pomegranate juice. There Are Plenty Of Budget Friendly Berries For Your Energy Drink To Choose From That Are Considered Super Foods, Packed With Anti-aging Benefits. Anti-oxidant disease fighting berries like acai, blueberries, strawberries and blackberries are loaded with anti-aging nutrients and flavonoids that improve hair, nail and skin health, promote a healthy heart, and boost your energy levels. Use a blender to blend the ingredients and you have the perfect combination of the 4 anti-aging nutrients listed above…or you could just mix a packet of Ageless Impacts E3 with water and drink. E3 is one of the most complete therapeutic anti-aging energy drink mixes on the market. To Create A Creamy Base For Your Energy Drink With Added Calcium, Add About 8 Ounces Of Organic Almond Milk In A Blender Along With Your Berry Mixture. If you prefer a sweet tasting energy drink, trying using vanilla flavored almond milk. Adding a quarter of a banana (high in potassium) can sweeten your energy drink and thicken it up as well. I don’t recommend using more banana than this per serving due to their high sugar content. Again if you are on the fly…you can always count on E3 to give your body what it needs for vibrant all day energy! If you’d rather buy a ready-made energy drink, be sure to read the nutritional label and make sure it’s not carbonated, packed with sugar, free form caffeine and a list of ingredients you can’t pronounce. There are a few healthy energy drinks out there but they, more than likely, aren’t the ones getting all the hype on TV. Bottom line; shop smart and look for healthy ingredients including the 5 essential nutrients listed above, especially L-Carnitine. And while you are here, check out the healthiest anti-aging energy drink on the planet that’s packed with all the essential ingredients including 1,000 mgs. of L-Carnitine, lots of B12 and more... Ageless Impact’s E3! Read the ingredients and you will quickly see that E3 has no real competition!